When it comes to case carts, low-quality materials and a lack of durability cause a lot of common problems. In hospitals, healthcare professionals report that difficulties with case carts include numerous design flaws like unstable wheels and doors that pop open. 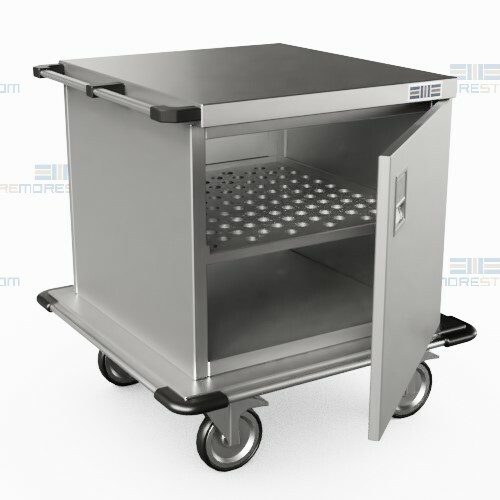 These stainless steel surgical instrument carts are designed to eliminate these issues and provide a solution that is equally durable and usable. With double-panel reinforced doors, the doors will not pop open during transport. Integrated weep holes also allow draining and airflow. You can also include optional tamper seal hasps for extra security. 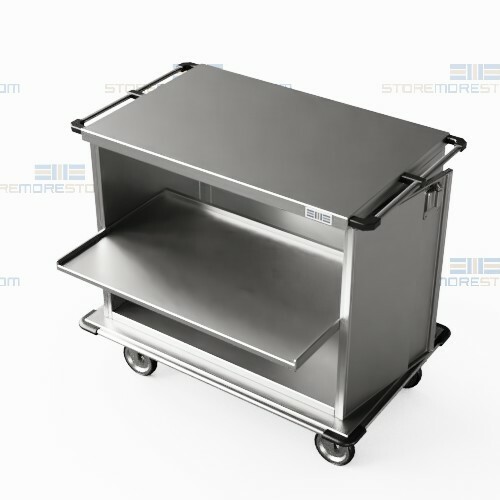 Because of their heavy-duty stainless steel construction, the carts are durable and easy to clean. Additionally, this makes them ideal for healthcare environments. Depending on your needs, you also have the choice between 1, 2, 3, or no shelves, which are available in wire, perforated steel, or solid steel. Additionally, the shelves are removable and pull out for easy viewing, cleaning, and retrieval. Surgical instrument carts are available to buy online with free dock-to-dock shipping. If you need any assistance or just want some help picking the right solution for you, please call us at 1-855-786-7667.